Electromagnetic Interference (EMI) Shielding is the process of reducing the electromagnetic field around the protected item by blocking the field with barriers of conductive or magnetic materials. Our Products are heavily used throughout the rail industry, specifically in control cabinets. 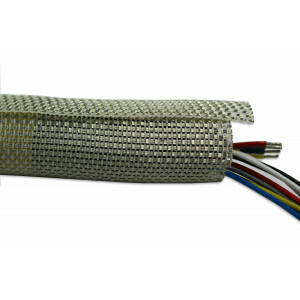 Shielding is typically used to isolate cable runs. Some forms of sleeving also block radio frequency electromagnetic radiation (RF) and are utilised in aircraft applications.